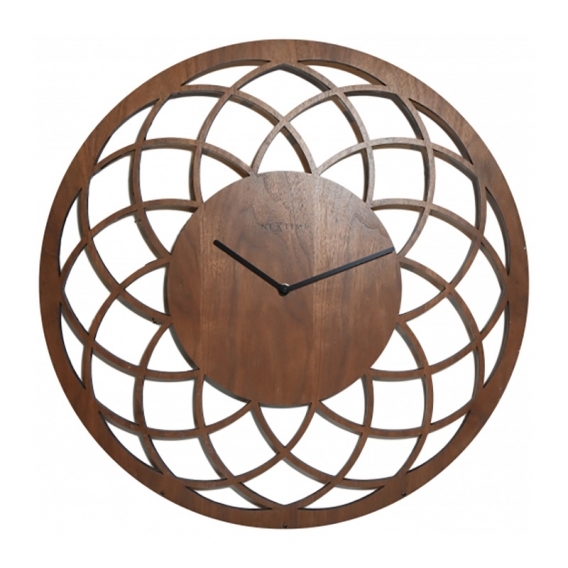 Your wooden wall clock turns into a dream catcher thanks to its very original rose window pattern. Entirely made of wood, the face openwork is inspired from American Indians dream catchers. This large wall clock with its imposing diameter is a splendid decorative piece entirely made of wood. 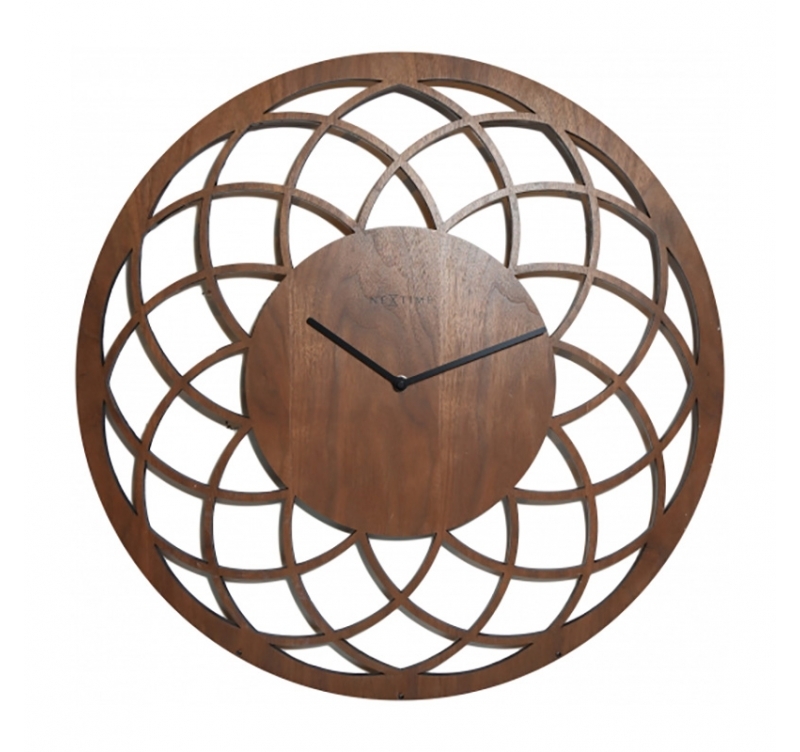 The round face of the wooden wall clock holding small black hands delicately spreads out through a pattern of harmonious cuts. The rose window remind us the lucky dream catchers of American Indians as well as the intricate motives of the stain glass windows in churches. The large wall clock matches all styles of interior decoration and can be easily hung up in all the rooms of the house, be it lounge, hall or bedroom. Your dreams will be secure with this original wall clock. 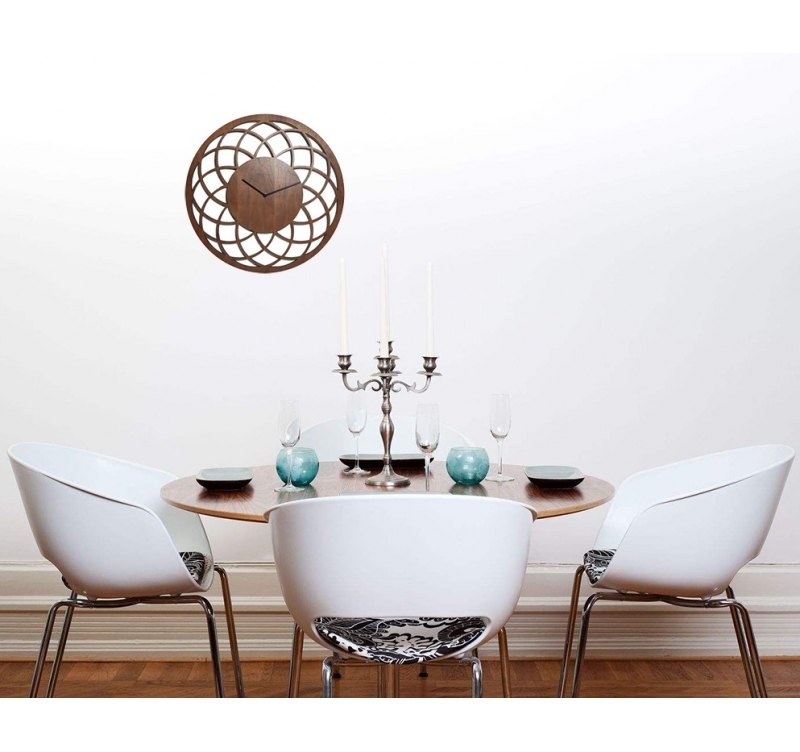 This large wooden wall clock can also be found in white.